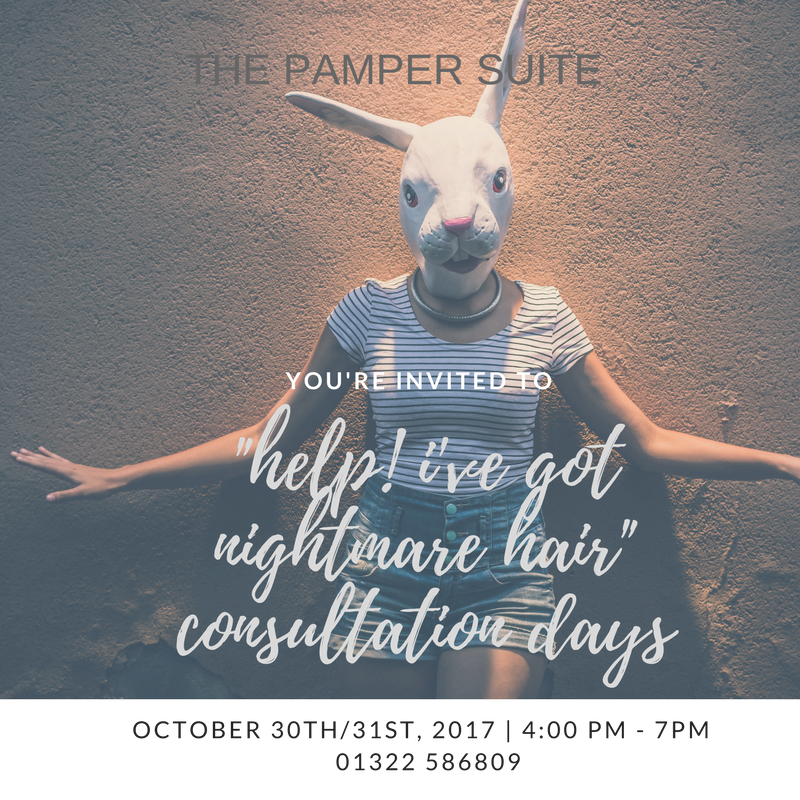 "Help, I've got nightmare hair" Come to our consultation days at The Pamper Suite. 30th & 31st October 2017, 4.00pm - 7.00pm. A great opportunity to talk to our stylists about hair colour, cuts, styling for the season and hair & scalp care. Call to schedule your spot to chat or just pop in.